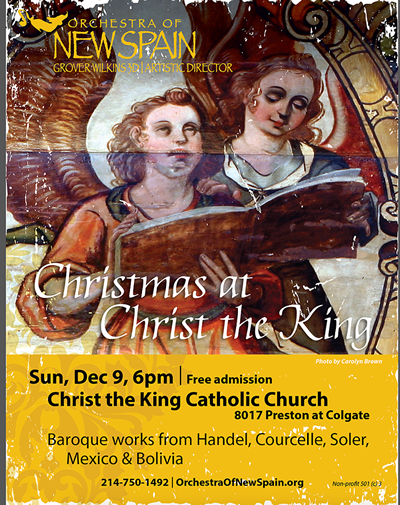 You won't want to miss the Orchestra of New Spain for a special performance at Christ the King on Sunday December 9 at 6pm! This is a great event with wonderful music. Please join in and support our neighbors and community members! Celebrate the Holidays with Baroque Music from Handel, Courcelle, Soler and from Mexico & Bolivia! Admission is Complimentary! Donations are Appreciated. Tis the Season!